Dr. Singleton summarizes the latest health care reform policies being debated on Capitol Hill during these opening months of the 116th Congress. Earlier articles have discussed the House’s new Medicare for All Act of 2019 bill, H.R. 1384 and Sanders’ Medicare for All Act of 2017, S. 1804. See https://aapsonline.org/jumping-into-medicare-for-all-with-eyes-wide-shut/. Less publicized government plans have been put in the legislative hopper. Some are basically modifications to the Affordable Care Act (ACA). On January 3, 2019, S.3, the Keeping Health Insurance Affordable Act of 2019 was introduced by Senator Ben Cardin (D-MD) and referred to the Senate Finance Committee. This program would create a public option offered exclusively through the ACA marketplace at the Bronze, Silver and Gold levels. All individuals eligible to participate in the ACA marketplace are eligible. The enrollment would be for one year at a time. The insurance policies would have the ACA’s “10 essential benefits.” The cost-sharing would follow the ACA marketplace rules and have an annual out of pocket limit ($7,900 in 2019). ACA cost-sharing reduction (CSR) subsidies would apply. This program expands premium tax credit eligibility to income from 100% – 600% of the Federal Poverty Level. Medicare participating providers would also participate in the public health insurance option. 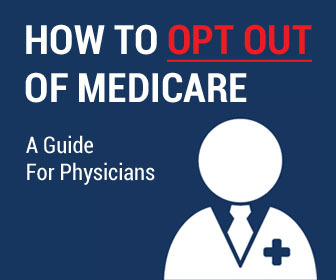 An opt-out is not in the bill, but a provision for HHS to design an opt-out is included in the bill. Medicare Part A and B rates and Medicare balance billing limits apply. HHS may negotiate drug prices (also for Medicare) and a base premium of $37 for the Prescription Drug Plan. There are no cost containment provisions. Or financing sources other than premiums. On February 14, 2019, S. 489, the State Public Option Act of 2019 was introduced by Sen. Brian Schatz (D-HI) and referred to the Senate Finance Committee. Its House sister bill, H.R. 1277 was sponsored by Ben Lujan (D-NM) and referred to the House Energy and Commerce and Ways and Means Committees. This program is offered to individuals who are residents of states electing to establish a Medicaid buy-in option, who are eligible to participate in the ACA marketplace, and who are not concurrently enrolled in other health coverage. The enrollment would be for one year at a time and offered through the ACA marketplace. The insurance policies would have the ACA’s “10 essential benefits.” The cost-sharing would be set by the state and cannot exceed the ACA limit ($7,900 in 2019). ACA cost-sharing reduction (CSR) subsidies would apply. Premiums would be set by the states and may vary premiums by factors allowed by the ACA rating rules (age, up to 3:1, geography, family size, tobacco use). Annual premiums limited to no more than 9.5% of household income. ACA premium subsidies apply. The Medicaid buy-in would be deemed the second-lowest cost Silver plan in areas where no Silver Plan is offered. Medicaid providers, including Medicaid managed care organizations can participate. There is no provision regarding balance billing, but if the plan adopts Medicaid rules, there would be no balance billing. All states would be required to pay primary care physicians Medicare rates; other providers would receive Medicaid rates. There are no provisions regarding prescription drugs or cost containment. This program would extend the 100% federal matching funds for three years to states newly adopting this expansion. Significantly, this program adds comprehensive reproductive health services, including abortion as a mandatory Medicaid benefit. On February 13, S. 470, the Medicare at 50 Act of 2019 was introduced by Sen. Debbie Stabenow (D-) and referred to the Senate Finance Committee. This program is offered to individuals age 50 to 64 who are U.S. citizens or nationals residing in the U.S. or lawfully admitted permanent residents who are not otherwise entitled to Medicare benefits. Enrollment would be for one year at a time correlating with Medicare, Medicare Advantage and Prescription Drug Plan enrollment. Medi-gap plans can be purchased at the time of enrollment. Eligible individuals still have the option to enroll in private insurance. The benefits would be the current Medicare Part A, B. and D plans. There would be a single national premium with no adjustment for age, geography, family status or tobacco use. Cost-sharing would be the same as current Medicare rules. There would be a single premium for buy-in enrollees. ACA premium subsidies and cost-sharing reduction (CSR) subsidies would apply. 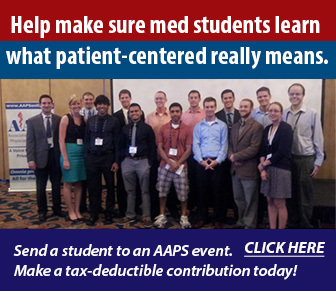 Medicare participating providers and facilities would participate in the plan. Medicare payment rates and balance billing rules apply. Additionally, HHS can negotiate drug prices (unlike current Medicare law). There are no cost containment provisions. No financing sources other than premiums were set forth. On February 25, 2019, H.R. 1346, the Medicare Buy-in and Health Care Stabilization Act of 2019 was introduced by Rep. Brian Higgins (D-NY) and referred to the House Energy and Commerce and Ways and Means Committees. This program is offered to individuals age 50 to 64 who are U.S. citizens or nationals residing in the U.S. or lawfully admitted permanent residents who are not otherwise entitled to Medicare benefits. Enrollment would be for one year at a time correlating with ACA marketplace enrollment. Medi-gap plans can be purchased at the time of enrollment. This plan also includes a Medi-gap public option. The benefits would be the current Medicare Part A, B. and D plans. There would be a single national premium which would cover 100% of the cost of benefits and administration with no adjustment for age, geography, family status or tobacco use. Cost-sharing would be the same as current Medicare rules. There would be a single premium for buy-in enrollees. ACA premium subsidies and cost-sharing reduction (CSR) subsidies would apply, but the CSR subsidies would be enhanced from the current actuarial values. Medicare participating providers and facilities would participate in the plan. Medicare payment rates and balance billing rules apply. Additionally, HHS can negotiate drug prices (unlike current Medicare law). Here, the plan sponsors can separately negotiate to obtain lower prices than HHS. On January 31, 2019, H.R. 938, the Bringing Low-cost Options and Competition while Keeping Incentives for New Generics (BLOCKING) Act of 2019 was introduced by Reps. Kurt Schrader (D-OR) and referred to the House Energy and Commerce Committee. The bill would discourage parking of 180-day exclusivity by a first generic applicant by allowing FDA to approve a subsequent generic application prior to the first applicant’s first date of commercial marketing when the following four conditions have all been met: (1) the subsequent application is ready for full approval; (2) a minimum of 30 months has passed since at least one first applicant submitted their application for the drug; (3) any related patent litigation has been fully resolved; and (4) no first applicant is approved. On February 5, 2019, H.R 965, the Creating and Restoring Equal Access to Equivalent Samples (CREATES) Act of 2019 was introduced by Rep. David Cicilline (D-RI) and referred to the House Judiciary and Energy and Commerce Committees. Its sister bill in the Senate, S.340 was introduced by Sen. Patrick Leahy (D-VT) and referred to the Senate Judiciary Committee. The bill would amend the Federal Food, Drug, and Cosmetic Act to establish a process by which generic manufacturers could request that FDA authorize them to obtain sufficient quantities of samples for testing to facilitate the timely entry of lower-cost generic and biosimilar versions of those drugs and biological products. Additionally, a product developer can bring a civil action against a license holder if the latter refuses to make available enough samples of a product for testing so that a biosimilar or generic can be developed. It also allows the FDA to approve alternative Risk Evaluation and Mitigation Strategy (REMS) programs if a generic or biosimilar developer and the innovator company are unable to arrive at a single shared system. The REMS programs have special requirements for drugs that have safety concerns. But the FDA has found that drug companies have used these programs to slow down the entry of biosimilars and generics into the market. On February 5, 2019, H.R. 985, the Fair Access for Safe and Timely (FAST) Generics Act of 2019 was introduced by Rep. Peter Welch (D-VT) and referred to the House Energy and Commerce Committee. The bill would amend the Federal Food, Drug, and Cosmetic Act to ensure that eligible product developers have competitive access to approved drugs and licensed biological products, so as to enable eligible product developers to develop and test generic products. The bill also creates a civil cause of action for a product developer to sue the license holder who violates the provisions of the proposed law. On February 13, 2019, S. 474, the Stopping the Pharmaceutical Industry from Keeping Drugs Expensive (SPIKE) Act of 2019 was introduced by Sen. Ron Wyden (D-OR) and referred to the Senate Finance Committee. This bill would require manufacturers of drugs with specified percentage increases in their wholesale costs to submit to the Centers for Medicare & Medicaid Services (CMS) written justification for certain increases in drug prices. The CMS is to publish each submission, together with an easily understandable summary, on its website. Certain proprietary information may be excluded from publication, as specified by the bill. A manufacturer that does not comply with the bill’s requirements would be subject to civil monetary penalties. On March 5, 2019, H.R. 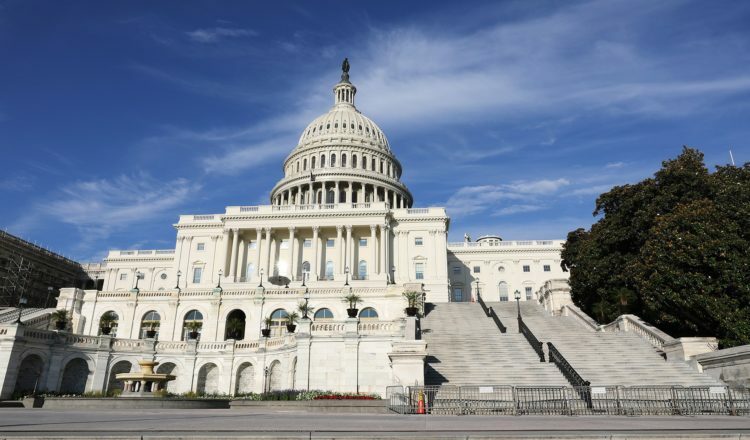 1499, the Protecting Consumer Access to Generic Drugs Act of 2019 was introduced by Rep. Bobby Rush (D-IL) and referred to the House Judiciary and Energy and Commerce Committees. The bill would amend the Federal Food, Drug, and Cosmetic Act to make it illegal for brand-name and generic drug manufacturers to enter into agreements in which the brand-name drug manufacturer pays the generic manufacturer to keep a generic equivalent off the market. On March 5, 2019, H.R. 1503, the Orange Book Transparency Act of 2019 was introduced by Rep. Robin Kelly (D-IL) and referred to the House Energy and Commerce Committee. The bill would amend the Federal Food, Drug, and Cosmetic Act to help to ensure that the Orange Book is accurate and up-to-date, by requiring manufacturers to share complete and timely information with FDA, as well as ensuring that patents listed in the Orange Book are relevant to the approved drug product. Patents found to be invalid through a court decision or a decision by the Patent Trial and Appeal Board would be required to be removed promptly. On March 5, 2019, H.R. 1506, the Fair and Immediate Release (FAIR) of Generic Drugs Act was introduced by Rep. Nanette Barragan (D-CA) and referred to the House Judiciary and Energy and Commerce Committees. The bill would amend the Federal Food, Drug, and Cosmetic Act to allow any generic filer who wins a patent challenge in court or is not sued for patent infringement by the brand manufacturer to share in the 180-day exclusivity period of first applicants that enter into patent settlements that delay entry. On March 5, 2019, H.R. 1520, the Purple Book Continuity Act of 2019 was introduced by Rep. Anna Eshoo (D-CA) and referred to the House – Committee. The bill would amend the Public Health Service Act to codify publication of approved biological products in the Purple Book in a similar format and with similar requirements to the Orange Book, specify that the Purple Book should be published electronically on FDA’s website and updated routinely, and direct FDA to consider the types of patents that should be listed in the Purple Book. On March 5. 2019, S. 657, a bill to amend title XXVII of the Public Health Service Act to establish requirements with respect to prescription drug benefits was introduced by Sen. Mike Braun (R-IN) and referred to the Senate Health, Education, Labor, and Pensions Committee. The bill would require a group health plan or a health insurance issuer offering group or individual health insurance coverage to ensure that any pharmacy benefits manager (PBM) under contract with such entity does not, receive from a drug manufacturer a reduction in price or other remuneration with respect to any prescription drug received by an enrollee in the plan or coverage and covered by the plan or coverage, unless (1) any such reduction in price is reflected at the point of sale to the enrollee; and (2) any such other remuneration is a flat fee-based service fee that a manufacturer of prescription drugs pays to a pharmacy benefit manager for services rendered to the manufacturer that relate to arrangements by the pharmacy benefit manager to provide pharmacy benefit management services to a health plan or health insurance issuer, and the fees are transparent as well as other conditions that HHS may impose. On February 13, 2019, S. 475, the Reducing Existing Costs Associated with Pharmaceuticals for Seniors Act of 2019 or the RxCAP Act of 2019 was introduced by Sen. Ron Wyden (D-OR) and referred to the Senate Finance Committee. The bill would prevent catastrophic out-of-pocket spending on prescription drugs for seniors and individuals with disabilities by eliminating cost-sharing above the Medicare part D annual out-of-pocket threshold. (6) that the data contained in the PDMP of the covered State be made available to other States. On February 6, 2019, H.R. 986, the Protecting Americans with Preexisting Conditions Act of 2019 was introduced by Rep. Ann Kuster (D-NH) and referred to the House Energy and Commerce and Ways and Means Committees. Its sister bill in the Senate, S. 466 was introduced by Sen. Mark Warner (D-VA) and referred to the Senate Finance Committee. The bill would prohibit the Secretaries of Treasury and Health and Human Services (HHS) from implementing and enforcing guidance the Trump administration issued to states for Section 1332 waivers for states to not have to comply with all of the provisions of the ACA (the State Relief and Empowerment Waivers (83 Fed. Reg. 53575 (October 24, 2018)), and from putting forth any similar rule. On February 6, 2019, H.R. 987, the Marketing and Outreach Restoration to Empower Health Education Act of 2019 (MORE Health Education Act), was introduced by Rep. Lisa Blunt Rochester (D-DE) and referred to the House Budget and Energy and Commerce Committees. The bill directs the Secretary of HHS to promote the availability of insurance on the Exchanges and financial assistance for coverage. The bill also prohibits the use of funds for promoting non-ACA compliant plans. On February 11, 2019, H.R. 1143, the Educating Consumers on the Risks of Short-term Plans Act of 2019 was introduced by Anna Eshoo (D-CA) and referred to the House Energy and Commerce Committee. The bill would require short-term, limited duration insurance (STLDI) to disclose the risks of STLDI to prospective consumers, including disclosure that STLDI may not cover preexisting conditions, may not cover the costs of medical services, and that coverage may be rescinded if the individual seeks treatment for a preexisting condition. On February 13, 2019, S. 476, the Creating Transparency to Have Drug Rebates Unlocked (C-THRU) Act of 2019 was introduced by Sen. Ron Wyden and referred to the Senate Finance Committee. The bill would amend 42 U.S. Code § 1320b–23 (Pharmacy benefit managers transparency requirements) to require the public disclosure of certain information provided to the Department of Health and Human Services (HHS) by a pharmacy benefit manager (PBM) that contracts with: (1) a prescription drug plan (PDP) under Medicare or Medicare Advantage (MA), or (2) a qualified health benefits plan offered through an exchange established under the Patient Protection and Affordable Care Act. HHS must publish on its website, with respect to each PBM, information regarding: (1) the amount and type of rebates and discounts negotiated by the PBM and the extent to which these rebates and discounts are passed on to the plan sponsor, and (2) the difference between the amount paid by the plan sponsor to the PBM and the amount paid by the PBM to pharmacies. As a condition of participation as a contractor under Medicare or MA, a PBM must pass on to a PDP sponsor a minimum percentage (set by HHS) of the amount of rebates and discounts negotiated by the PBM that are attributable to patient utilization under the plan. The bill also amends current law to give Medicare and Medicare Advantage enrollees the negotiated drug prices that account for rebates and discounts at the point of sale. On February 27, 2019, H.R. 1409, the Transparency in All Health Care Pricing Act of 2019 was introduced by rep. Ed Perlmutter (D-CO) and referred to the House Energy and Commerce and Oversight and Reform Committees. The bill would require all individuals or business entities, including hospitals, physicians, nurses, pharmacies, pharmaceutical manufacturers, dentists, and the insurance entities, and any other health care related providers or issuers that offer or furnish health care related items, products, services, or procedures (as defined by the Secretary of Health and Human Services) for sale to the public shall publicly disclose, on a continuous basis, all prices for such items, products, services, or procedures in accordance with this section. An insurance entity includes a health insurance issuer with respect to the offering of health insurance coverage, including in the individual market and small and large group market, a plan sponsor with respect to the offering of a group health plan, and entities responsible for the administration of governmental health plans (including the Centers for Medicare & Medicaid Services with respect to the Medicare program, State agencies responsible for administration of State plans under the Medicaid or State Children’s Health Insurance Program, and the Office of Personnel Management with respect to the Federal Employees Health Benefits Program. On January 30, 2019, H.R. 861, the End Surprise Billing Act of 2019 was introduced by Rep. Lloyd Doggett (D-TX) and referred to the House Energy and Commerce and Ways and Means Committees. This bill requires a critical access hospital or other hospital to comply, as a condition of participation in Medicare, with certain requirements related to billing for out-of-network services. A hospital must provide notice to individuals seeking service regarding (1) whether the hospital, or any of the providers furnishing services to the individual at the hospital, is not within the health care provider network or otherwise a participating provider with respect to the individual’s health care coverage; and (2) if so, the estimated out-of-pocket costs of the services to the individual. At least 24 hours prior to providing those services, the hospital must document that the individual (1) has been provided with the required notice, and (2) consents to be furnished with the services and charged an amount approximate to the estimate provided. Otherwise, the hospital may not charge the individual more than the individual would have been required to pay if the services had been furnished by an in-network or participating provider. If the individual is seeking same-day emergency services, a hospital may not charge more than the individual would be required to pay for such services furnished by an in-network or participating provider. On January 29, 2019, H.R. 856, the Physician Pro Bono Care Act of 2019 was introduced by Rep. Daniel Webster (R-FL) and referred to the House Energy and Commerce and Ways and Means Committees. This bill would allow a tax deduction for direct primary care physicians who provide charity care. The care must be provided without expectation of reimbursement and to an individual enrolled in Medicaid or the Children’s Health Insurance Program (CHIP). A “direct primary care physician” is a physician who provides primary care (1) to individuals who have paid a periodic subscription fee, and (2) in exchange for a fee that is published on a publicly available website of the physician. 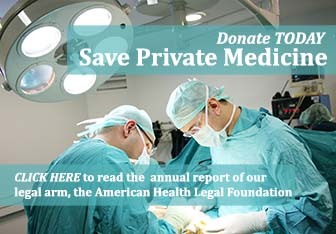 The bill also specifies that a physician is not liable under federal or state law for harm caused by an act or omission of the physician, or attending medical personnel supporting the physician, if the act or omission (1) occurs in the course of furnishing charity care, and (2) was not grossly negligent. The bill preempts laws of a state or a political subdivision of the state that are inconsistent with this provision, unless the laws provide greater protection from liability for a defendant. On January 10, 2019, S. 105, the Title X Abortion Provider Prohibition Act was introduced by Sen. Marsha Blackburn (R-TN) and was referred to the Senate Committee on Health, Education, Labor, and Pensions which will consider it before sending it to the Senate floor for consideration. The bill would amend title X of the Public Health Service Act to prohibit family planning grants from being awarded to any entity that performs abortions. On January 16, 2019, S. 158 was introduced by Sen. Rand Paul and referred to the Senate Health, Education, Labor, and Pensions Committee. The bill would prohibit federal funding of Planned Parenthood Federation of America, or to any of its affiliates. On January 30, 2019, H.R. 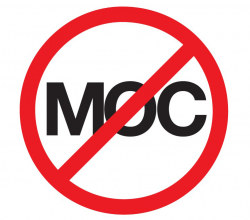 908, Stop Penalizing Working Seniors Act was introduced by Rep. Robert Lata (R-OH) and referred to the House Ways and Means Committee. This bill would allow Medicare-eligible individuals who are age 65 or older to contribute to health savings accounts if their entitlement to Medicare benefits is limited to hospital insurance benefits under Medicare Part A. 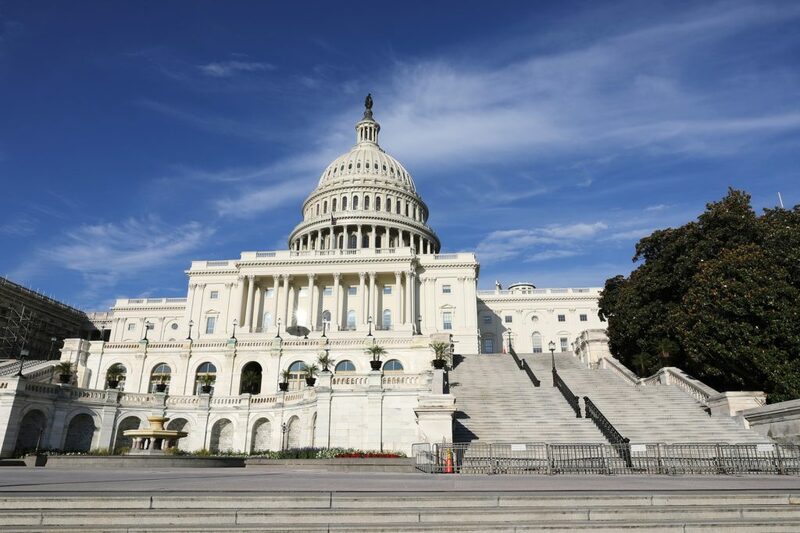 On February 27, 2019, S. 586, Critical Access Hospital Relief Act of 2019 was introduced by Sen. Pat Roberts (R-KS) and referred to the Senate Finance Committee. This bill would repeal the 96-hour physician-certification requirement for inpatient critical access hospital services under Medicare. Under current law, as a condition for Medicare payment for such services, a physician must certify that a patient may reasonably be expected to be discharged or transferred to a hospital within 96 hours after admission to the critical access hospital.